The production, storage, and pipeline transportation of natural gas results in the need to dispose of or manage salt water. In arid portions of the U.S., membrane-lined evaporation ponds have proved to be an economical, effective method of disposing of this brine water. Evaporation ponds are artificial ponds that are designed to evaporate water by solar radiation and wind. 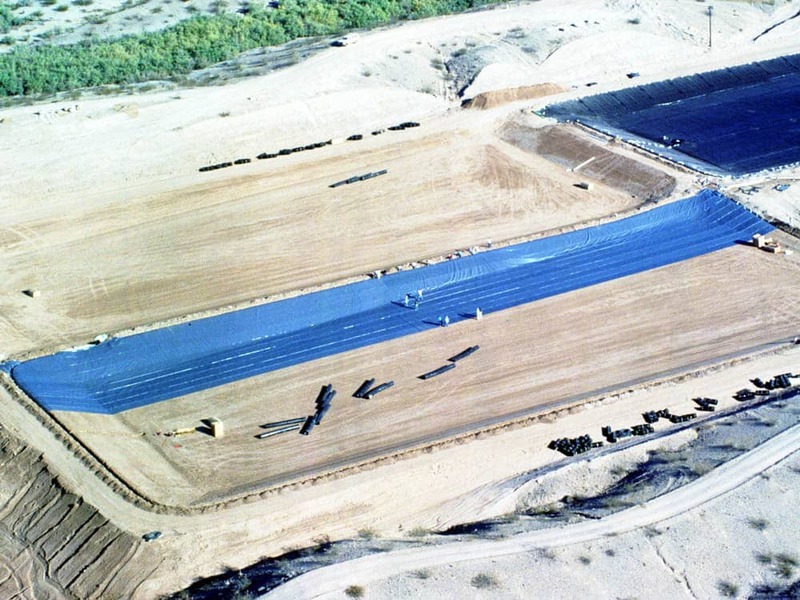 Seaman Corporation’s XR-5® material is ideally suited for the intense heat and UV resistance necessary in many applications, especially wastewater impoundments and evaporation pond liners. XR-5 was developed to contain and protect against acids, oils, methane, and alkalis. To learn more about our geomembrane pond liners, contact us today.